It’s the end of another week and that means that it’s time for a Freebie Friday! Today’s freebie comes to you from our game Fish Lake. The freebie is a two-for-1. 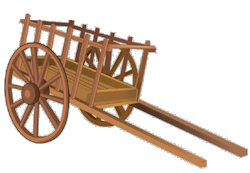 First, do you know what a Red River cart was? Now that you know how to build a cart, you need to have something to fill it. We tackle that as well in this presentation just for you on how to subtract and compare fractions. “Build A Cart With Fractions.” It’s just one of the many great resources and activities you’ll find on our Fish Lake teacher resources section. As always, this activity and other resources are available for our games on our Teacher Resources page on our website. So head over to our teacher resources page and come back next week for another helpful Freebie Friday!